This month, hundreds of hospitals in 67 markets across the country started doing hip and knee replacements under Medicare's mandatory bundled-payment initiative. Experts say many weren't prepared to meet the tough challenges of the Comprehensive Care for Joint Replacement program, which requires hospitals to provide the procedure and all care for up to 90 days afterward for a target price. But at least two health systems saw bundled payment for joint replacements coming and rigorously prepared themselves—CHI St. Alexius Health in Bismarck, N.D., and Pittsburgh-based UPMC. 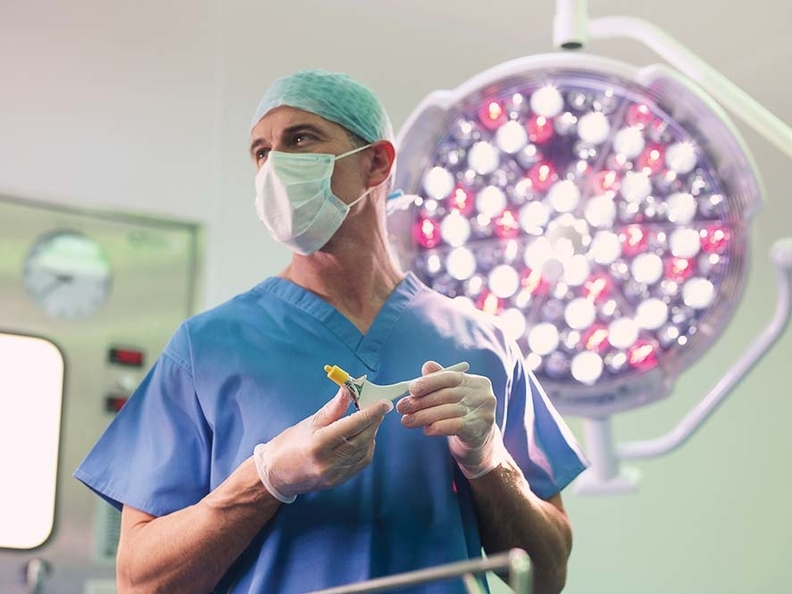 They convened multidisciplinary teams of surgeons, anesthesiologists, nurses, administrators, physical therapists and other staff to hone their clinical processes, purchasing of implants, patient education and post-acute care to optimize outcomes and reduce costs. It wasn't easy. Their surgeons had to agree to standardize implant devices. Anesthesiologists had to adjust protocols to reduce nausea so patients could start physical therapy right after surgery. Nurses and physical therapists had to hustle to get patients ready for discharge the day after the procedure. Patients were asked to lose weight and control their blood sugar before surgery and take charge of their own care afterward—with far fewer stays in post-acute facilities. And post-acute providers had to fine-tune their care or be dropped from the referral network. Information technology and financial alignment between hospitals and physicians will be major challenges in making bundled payment work, said Dr. Alexandra Page, who chairs the American Academy of Orthopaedic Surgeons' Health Care Systems Committee. Providers have to communicate across the entire spectrum of care, which is often not happening now. And hospitals and physicians need to agree how to share risks and gains, she said. St. Alexius started its improvement process about a year and a half ago, after it was purchased by Catholic Health Initiatives. CHI brought together orthopedists from its hospitals—including some already participating in Medicare's voluntary bundling initiatives—to discuss best practices. After attending those sessions, Dr. Tim Bopp, St. Alexius' chief of staff, worked with his colleagues to shorten length of stay, change anesthesia practices, and minimize the use of post-acute facilities. The hospital assembled teams to examine pre-operative, acute and post-operative care, said St. Alexius Chief Nursing Officer Rosanne Schmidt, who led the initiative. The staff began educating patients on how to optimize their health before surgery and manage their wound care. The hospital hired nurse navigators to check up on patients after surgery. And it focused on better pain management. Due to these efforts, St. Alexius, which does about 800 total joint replacements a year, says that since March 2015 it has cut average length of stay from 2.5 days to 1.7 for knees and from 2.6 days to 1.79 for hips. It reduced the complication rate for both procedures from 1.87% in the first six months of last year to 0% for the past six months. And it's sending only about 8% of patients to skilled nursing or rehab, compared with nearly 30% in 2010. UPMC, which does nearly 6,000 joint replacements annually in the Pittsburgh area, launched its bundled payment initiative in conjunction with the UPMC Health Plan in 2012 when its leaders identified lots of variation in care, said Chief Quality Officer Tami Minnier. Early on, the system developed an inpatient pathway that cut use of blood transfusions by surgeons over the two-year pilot—from more than 10% of cases to 1.1%. The surgeons also reduced variation in surgical supplies, including implant devices, said Dr. MaCalus Hogan, a UPMC orthopedic surgeon who co-led the improvement effort with Minnier. UPMC also developed a “prehab” process to help patients prepare for surgery and recovery. UPMC narrowed its preferred post-acute provider network to its own four skilled-nursing facilities and seven outside partners. The changes made during UPMC's two-year bundling pilot led to length-of-stay reductions for hips and knees of 9% and 5%, respectively, and total cost savings of about 2%, Minnier said. Hogan is now making regular “road trips” to UPMC's regional partners that want to learn how to succeed with bundled payment. “It's a joy to work on an innovation like this,” he said.